Small compact brewing machines for production of wort – BREWMASTER . 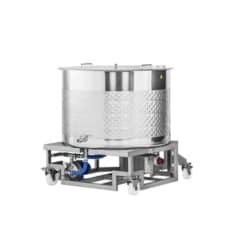 These types of the brewing machines are designed to easy production of many types beer, using only the infusion method (not the decoction method). This simple machine is suitable for anyone who wants to produce their own beer in small quantities, for example the smallest microbreweries. BMTM-200 Termo-sleeve is a recommended accessory for the BREWMASTER BM-200 brewhouse. This is used for insulation of the kettle to speed up heating of the kettle and saving energy. The termo-sleeve is also very recommended for use when is requirement for more than one brew cycle per day – in this case we recommend to use the fermentation and maturation tanks with volume total of daily produced wort. HBA-BMM100 Wifi Internet mobile module is an accessory for brewhouses BREWMASTER BM-200/210, BM-500/510 and BM-1000 . Its function is easy communication with any PC, notebook or tablet with installed the remote control software. 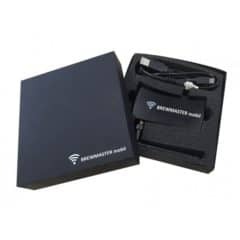 The BMM100 WiFi module is equipped for the supervision of the brewing process within the wireless local area network via wireless internet router. BMTM-500 Termo-sleeve is a recommended accessory for the BREWMASTER BM-500 brewhouse and BM-510 additional brewing boiler. This is used for insulation of the kettle to speed up heating of the kettle and saving energy. The termo-sleeve is also very recommended for use when is requirement for more than one brew cycle per day. In this case we recommend to use the fermentation and maturation tanks with volume total of daily produced wort. BMTM-1000 Termo-sleeve is a recommended accessory for the BREWMASTER BM-1000 brewhouse and BM-1010 additional brewing boiler. This is used for insulation of the kettle to speed up heating of the kettle and saving energy. The termo-sleeve is also very recommended for use when is requirement for more than one brew cycle per day. In this case we recommend to use the fermentation and maturation tanks with volume total of daily produced wort. 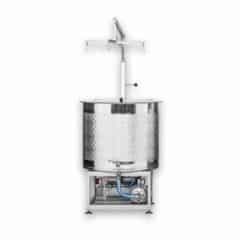 The small brewhouse machine for easy preparation of 11 liters beer wort in one batch using the infusion brewing method. Practical and easy to use, our new machine BREWMASTER BM-10 permits to prepare a good hand crafted beer, using fresh products any kind of recipe. The nano brewhouse produced of stainless steel. Maximal malt quantity 2.8 kg. 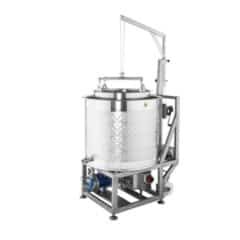 The small brewhouse machine for easy preparation of 55 liters beer wort in one batch using the infusion brewing method. Practical and easy to use, our new machine BREWMASTER BM-50 permits to prepare a good hand crafted beer, using fresh products any kind of recipe. The nano brewhouse produced of stainless steel. Maximal malt quantity 13 kg. 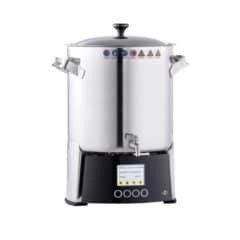 The small compact boiling machine for easy preparation of 200-230 liters wort in one batch using the infusion method of brewing during production of wort. Practical and easy to use, the wort-brewing machine BREWMASTER BM-200 permits to prepare a good hand crafted beer, using fresh raw-material (malt, hops, or their extracts) , just according to any kind of recipe. The wort-boiling machine is fully produced of stainless steel AISI 304. The fully automatic brewing control system takes over the brewing of individually adjusted recipes and runs through all brewing phases with exact times and temperatures. The additional brewing boiler for use with the BREWMASTER BM-500 machine. 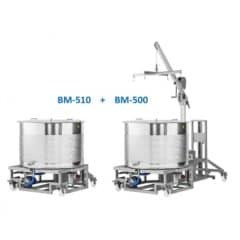 Both devices BM-500 and BM-510 are necessary for the production of two batches of beer wort per one day. It is available for mashing process during the second brew. 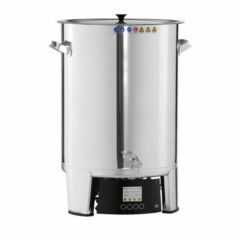 The BM-510 brewing boiler is fully produced of stainless steel AISI 304. 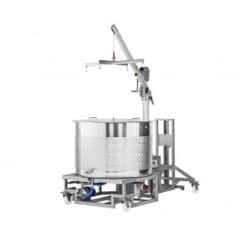 The small compact boiling machine for easy preparation of 500-550 liters wort in one batch using the infusion method of brewing during production of wort. Practical and easy to use, the wort-brewing machine BREWMASTER BM-500 permits to prepare a good hand crafted beer, using fresh raw-material (malt, hops, or their extracts) , just according to any kind of recipe. 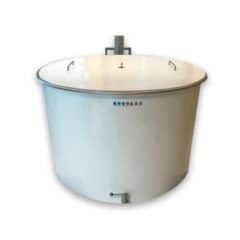 The wort-boiling machine is fully produced of stainless steel AISI 304. 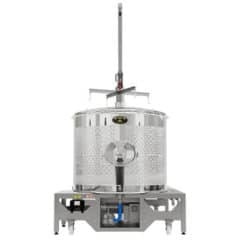 The small compact boiling machine for easy preparation of 1000 liters wort in one batch using the infusion method of brewing during production of wort. Practical and easy to use, the wort-brewing machine BREWMASTER BM-1000 permits to prepare a good hand crafted beer, using fresh raw-material (malt, hops, or their extracts) , just according to any kind of recipe. 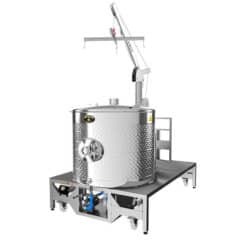 The wort-boiling machine is fully produced of stainless steel AISI 304.